In the metal metallurgy field, whether it is the initial mineral processing or late refining process, a solution as a reaction carrier will be used, and the enrichment of minerals will be deposited to obtain high concentrations of metal compounds through solid-liquid separation. In this series of complex mineral processing, enrichment and separation process, various additives are needed to strengthen and improve the settlement, solid-liquid separation efficiency. 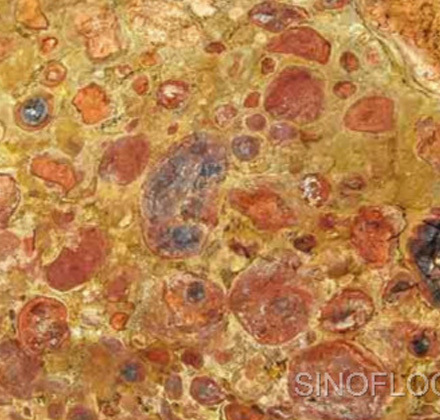 For a variety of mining and metallurgical industry, Sinofloc developed a series of polyacrylamide products, which has good application in gold and silver precious metals smelting, alumina industry, iron and steel smelting, zinc/ copper/ lead smelting and other areas of mineral separation problems. Through using different models of polyacrylamide, the solid-liquid separation and effect of enrichment could be greatly improved in the process of beneficiation, tailings flotation, concentration and sedimentation, washing sedimentation, centrifugal dehydration. Metallurgical wastewater contains a variety of different production and processing plants to produce waste water, such as steel plant metal products processing, the process of pickling wastewater, with acid and metal ions. The traditional heavy metal ion wastewater treatment can use polyacrylamide and neutral electrolysis of the water treatment process will be acid and metal ions of the standard treatment, part of the electrolyte through the filter separation method for recycling. Industrial metallurgy wastewater water, production and processing of more types of waste water, water treatment is also more complex, the general flocculants cannot be resolved, anionic polyacrylamide is a water-soluble polymer, usually the role of waste water flocculants, it Can effectively metallurgical wastewater containing metal ions effective sedimentation treatment. For more information please contact marketing@sinofloc.com.